When stretching pennies to make marketing ends meet, it’s a given that you want every ounce of efficiency possible. When running PPC campaigns in particular, you do not want to pay for clicks that generate nothing in return or are misunderstood by the people who clicked on them. In many cases, search queries can generate hits on your PPC campaigns despite having nothing to do with them. This is where negative keywords come into the picture: a way to filter out select search queries from your marketing campaign. 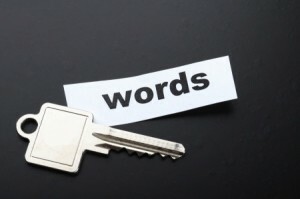 What are the main categories of negative keywords that you’ll need to consider, though? Below, we’ll dissect this topic and help you be aware of each main category of negative keywords that are commonly used. This may be the single biggest snag for marketers in all industries: those who are searching for work. Since employment is a part of every single industry, you’re going to have people searching for every single type of topic in the hopes of evaluating employment opportunities. When pinging to Google a set of advertisements, you’ll want to add negative keywords such as “hire”, “work”, “recruit”, “employer” and “career” in order to filter out these false positives. Your click through rates may be higher than normal and your return on investment may suddenly plummet if you fail to take these into account. Anyone who wants to obtain more training in a given field or education will no doubt head to search engines in search of that information, but their queries may by default display a lot of your ads in the process. If you want to avoid any confusion and save your budget for more valuable encounters, then the use of negative keywords like “training”, “courses”, “textbooks”, “school”, and “learn” should be added to any PPC campaign. Without this type of clarification, those in search of knowledge may misread your pitch and deplete your marketing dollars in the process. Especially needed if you operate an e-commerce website, those in the market for research, information or review information may stumble across your campaigns and think they’ll be able to find out more. When they don’t, they promptly leave your site – but you still have to foot the bill for their clicks. Instead of pinging to Google an unfiltered series of campaigns, always be sure to add negative keywords such as “review”, “pictures”, “opinion”, “ratings” and “info” if you are solely in the business of selling a product rather than providing information on it. Negative keywords are there to help you further gain efficiency when running any type of PPC campaigns. There are plenty of instances in which the lack of negative keywords can cost you dearly, so it is always smart to consider which words may or may not cause false positives in search results. You can always do a search for various search queries’ best negative keywords, but feel free to brainstorm a bit on your own as well. For the most part, though, you’ll avoid the biggest mistakes by addressing negative keywords that relate to education, research and employment.